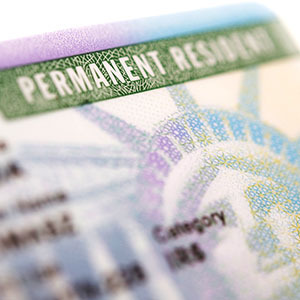 Lawful permanent residents are permitted to live and work in the United States on a permanent basis. They’re eventually allowed to apply for citizenship, but they’re not required to do so. The permanent resident or “green card holder” can routinely travel to and from the United States for personal or business purposes, but they don’t want to stay out of the country for too long. Re-entry into the United States after a long absence could be denied because their residence might only be deemed temporary. Specific rules permit the lawful permanent resident to remain outside of the United States for a lengthy time, but permission must be obtained. Lawful permanent residents are not permitted to vote in any elections. Unlike United States citizens, their right to remain in the country could be revoked for any number of reasons. This is most often seen in the context of immigration fraud or conviction of serious criminal offenses. 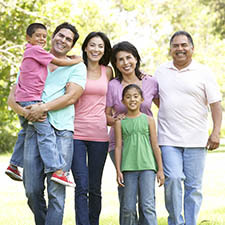 Lawful permanent residence is most often obtained through family-based immigration petitions. Employment-based sponsorship occurs directly through an employer, self sponsorship through a national interest waiver (NIW), extraordinary ability (EA) or investor (EB5) category visa. Permanent residency can also be obtained through the annual diversity lottery. Requirements for each category vary. If you are interested in pursuing an employment-based or family-based green card for yourself, or are interested in sponsoring an employee or family member – contact KPPB Law. Our experienced immigration attorneys have managed thousands of green card applications through the entirety of the process. Our green card lawyers will be able to advise you on what your options are and guide you through the entire process. We believe that it is important for you to understand your circumstances so that you can make a well-informed decision. KPPB Law offers consultations by phone or at our office so that you can discuss your case with one of our attorneys. Call our office or send us a message online to schedule your consultation today.